Kawasaki ZX10R Masters: Hurry Up! The Kawasaki Masters have reached the halfway mark of their spectacular motorcycle racing road show. And not in one race event have they been lacklustre or a disappointment to their many followers. Their next stop—Phakisa Freeway, Welkom, Free State, on the 22nd of June. As usual Friday slackers can come and have a whiff (mostly fuel vapours, burned tyres, exhaust fumes and knackered brakes), of what can be expected on real-race-day—Saturday. Of course entrance to the Friday practice sessions is absolutely FREE, so spread the word! Remember to bring your cameras and something cold or hot, to flush down the dust of this fast-paced-action-filled-racing-event. —The Kawasaki Masters are part of the Extreme Festival, which also includes the following remarkable classes: Extreme Supercars (Porsche 911 GT3s, Lotus Elise, BMWs, Ferraris, KTM X-Bow, Audi and Dodge Viper); the Rosso Challenge which houses a unique group of ostentatious Ferrari F430 and Ferrari 360 racing cars (this is as quick as it gets, ask me); the Brunch Run motorcycle challenge and Thunderbikes. The Phakisa 200 and Formula Vee classes will also bring some welcoming HEAT to THIS cold Phakisa racetrack (especially this time of year). Twenty-nine Masters will occupy the Phakisa Freeway starting-grid. Twenty-nine Kawasaki ZX10R Masters, need you fanatical support. SEE YOU THERE—HURRY UP! Phakisa Freeway (which means 'hurry up', in Tswana) is a 4.24 kilometre racetrack (situated just outside the quiet town of Welkom) with fairly long straights and quick turns. At the entrance enthusiastic spectators and competitors are greeted by an overstated welcoming board: "Welcome race fans to the capital of South African motorsport." Even though this might no longer be the case, spectators will find it very liberating to know that the Extreme Festival—including the Kawasaki ZX10R Masters—will give some true meaning to this statement, putting Phakisa back on the South African motorsport map (even if only for the weekend). On the lighter side: many fast paced scoot jockeys and motor racing drivers favour Phakisa Freeway over other more prominent racetracks. Fact! 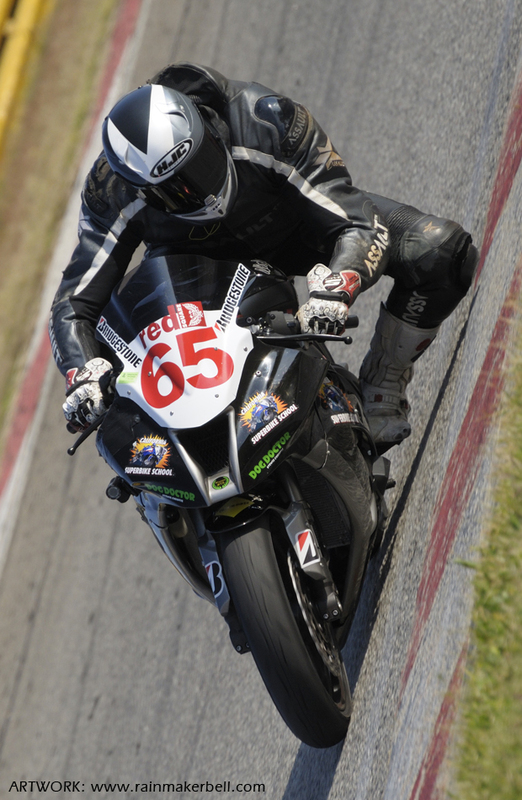 Words & Photo: Adriaan & Martine Venter (Kawasaki ZX10R Masters Cup, Extreme Festival, Phakisa Freeway, South African Motorsport, 2013/06/11, Prequel 2 Sequel) Main Image: Stewart Christie #65, Kawasaki ZX10R.